"My name is Mike Barsano I'm a member of the Spartans contra line I've been marching since the 2002 season. 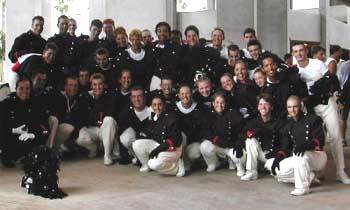 "This picture is a picture of the Spartans 2003 Horn Line after Finals in Orlando, Fla. It was an amazing summer with an awesome group of people." Thanks Mike!